8.8 out of 10 based on 73 verified user reviews via Agoda. The 2-star At Home Chiang Dao Resort offers comfort and convenience whether you're on business or holiday in Chiang Dao. The hotel offers guests a range of services and amenities designed to provide comfort and convenience. Take advantage of the hotel's free Wi-Fi in all rooms, luggage storage, Wi-Fi in public areas, car park, room service. Comfortable guestrooms ensure a good night's sleep with some rooms featuring facilities such as television LCD/plasma screen, clothes rack, complimentary instant coffee, complimentary tea, linens. The hotel's peaceful atmosphere extends to its recreational facilities which include massage, garden. 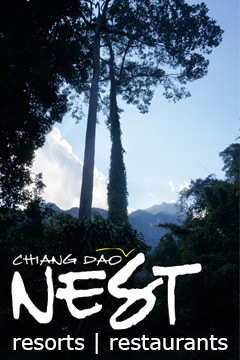 At Home Chiang Dao Resort is an excellent choice from which to explore Chiang Dao or to simply relax and rejuvenate. At Home Chiang Dao Resort - Chiang Dao classifies itself as a 2 star hotel.